I had told too many people I could never be a particularly enthusiastic cruise passenger; there seemed to be something rather too jolly about it for my taste. 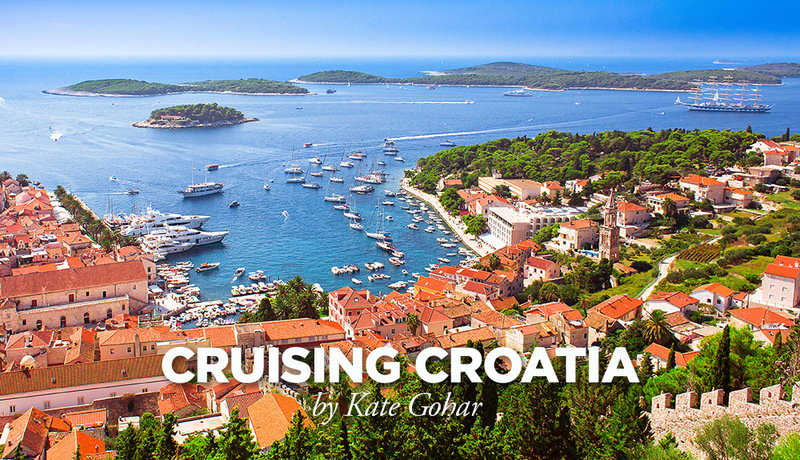 However, boarding a small but perfectly formed, deluxe cruiser to meander along the Croatian coast risked turning me into a big, fat liar. My Croatian friends speak with such passion of their homeland. 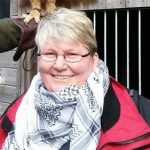 Armed with a comprehensive ‘you simply must visit, must taste, must try, must call my auntie’ list, and despite reluctance to join a cruise, I was actually predisposed to have a great time. Pleasantly surprised by both the ship and my light, airy, air conditioned cabin, I could feel the first of my prejudices falling away. 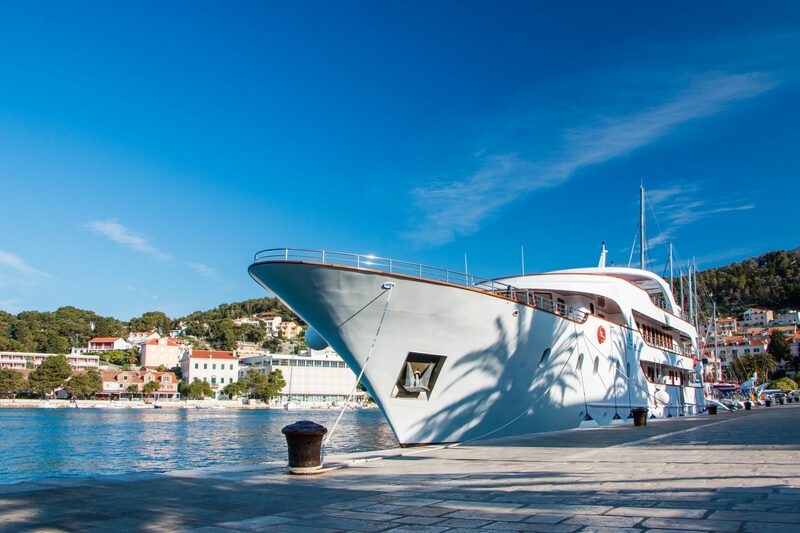 With a maximum of 38 guests on board, a spacious sun deck with platform and ladders at the rear to allow swimming directly from the ship into the warm and sparkling waters of the Adriatic, a comfortable bar and restaurant and free wifi, I could tell I was going to struggle to maintain my disdain over cruise journeys. The cruising can only be described as leisurely. Breakfast and lunch is included on board while in the evenings we moor in small towns, going ashore to sample fresh seafood and other tasty delicacies in tiny restaurants, often cooked by majka (mother) and served by other family members keen to chat. 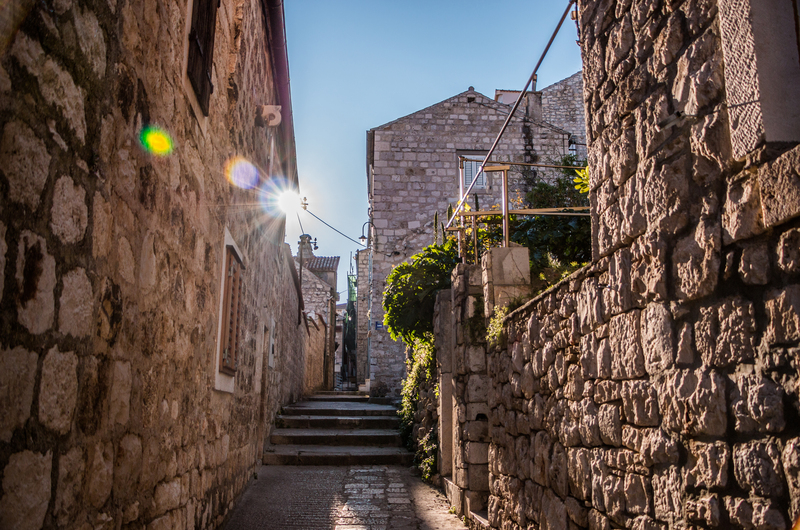 Our days are filled with wonders like Korcula, its pretty little bays and beaches beckoning us to swim, olive groves for miles, charming villages to explore and the wonderful old town winning me over in an instant. 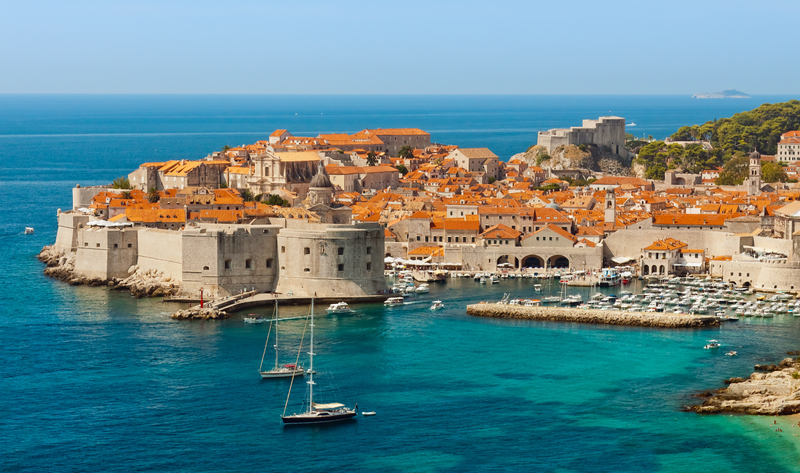 Who can fail to love Dubrovnik? Picture postcard baroque buildings and ancient city walls with pedestrianised limestone streets buzzing with activity. I stumble across the impressive 14th century Franciscan Monastery with its truly beautiful cloisters and remarkable pharmacy, 700 years old and still in operation today. Bowls, laboratory tools and books are on display in the museum and you can purchase moisturisers made from original Franciscan recipes using local herbs. When my feet demand I stop walking for a while, I find a small bar up a tiny side street and sit in the shade with a cool drink served by a hot waiter as I indulge in a bit of people watching. Heaven. 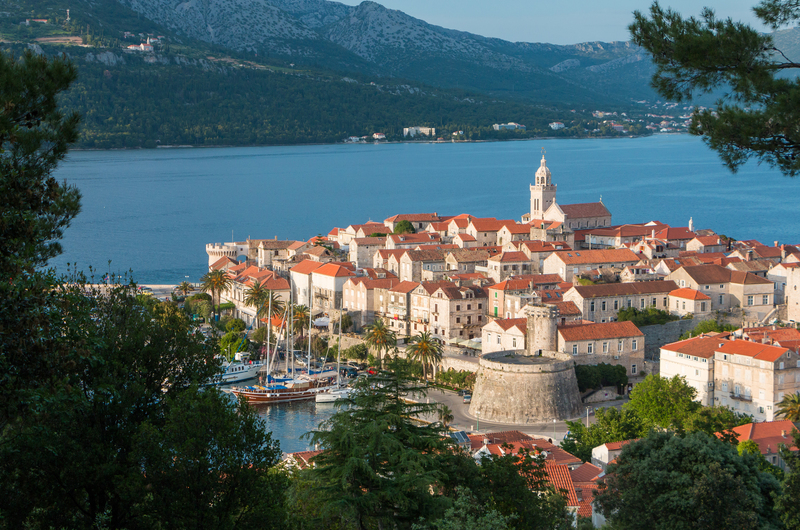 13th century city walls encasing Gothic palaces and marbled streets make Hvar an instant favourite. 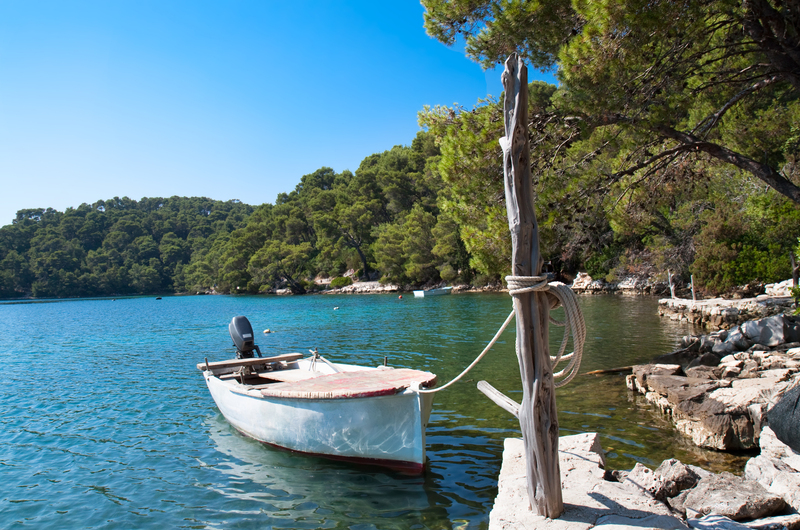 The island also offers vineyards, olive groves and fragrant fields of lavender. I feel welcome and content as I wander around before finding a quiet spot for a glass of wine as the sun starts to set. Stepping ashore in Split before we disembark for good, I wander, slack jawed, through Diocletian’s palace, the rather impressive, pulsing heart of the city with narrow streets bursting with bars and cafes, children playing oblivious to the history surrounding them at every turn while rows of washing hang from balconies above me. This is like no other palace I have ever seen. I was wrong. Cruise anyone?